If you have been dealing with migraines for a while, they may seem like just a part of life, but you don’t have to live with the debilitating pain of migraines. If you suffer from migraines, you are probably well-aware of how much your migraines affect your life. To get rid of your migraines, you have probably tried everything to feel better. You may have adjusted your diet, changed your sleep habits, or tried several types of medication to find relief. You may feel like you’ve exhausted all of your options. However, have you ever tried chiropractic adjustments to relieve your migraines? Migraines are the third most popular reason that patients seek chiropractic care. Studies and patient testimonies suggest that chiropractic care can make a significant impact on your migraines. Regular chiropractic adjustments can, over time, reduce the frequency, intensity, and duration of your migraines, and as a result, can significantly improve your quality of life. In many cases, the reason for migraines is a spinal misalignment; this misalignment may be linked to genetics, but can occur from injury or a car accident. Because your spine is misaligned, the nerves and muscles in the surrounding area become irritated and inflamed, causing pain that eventually travels to your head. Most migraines start from irritation in the neck or as a tension headache around the temples. Because misalignment can be the root cause of migraines, spinal manipulation can significantly affect the frequency and severity of a patient’s migraines. Medication and other means of treatment only mask symptoms and do not actually treat the problem. A holistic treatment approach, like chiropractic care, can provide long-term relief. To combat these symptoms, we recommend drinking lots of water, resting, taking a hot bath, and getting a little extra rest. Kuwamoto Chiropractic offers spinal decompression therapy as a means of treating back and pain and migraines. Spinal decompression therapy will gently stretch the spine, alleviating pressure and allowing the spine to be aligned properly. 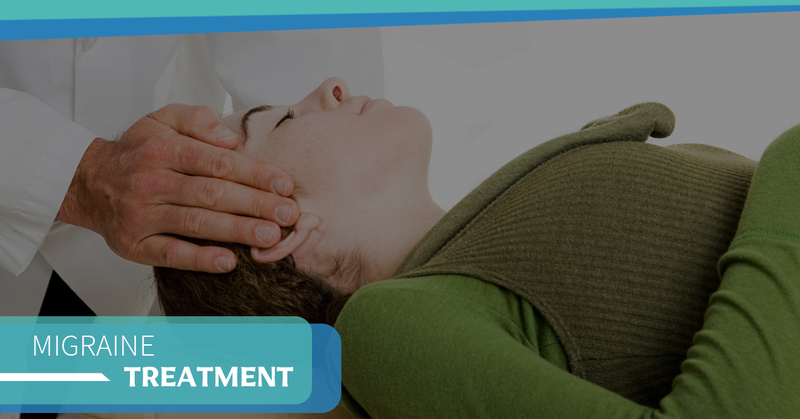 Though our chiropractor may utilize other spinal manipulation methods, spinal decompression therapy can be an effective and natural way to alleviate headaches. Dr. Kuwamoto and his compassionate staff have been providing relief from migraines and other conditions for patients in the Fresno area since 1981. We offer personalized treatment plans and approach each case from a holistic perspective, because until we treat the root cause of the pain, you may never find true healing and relief. At Kuwamoto Chiropractic, you can expect healthcare professionals who are highly invested in your healing and improving your quality of life. Read patient testimonies and make an appointment to get started today!